An extreme-right Frenchman has been convicted and sentenced to a year in prison for denying the Holocaust and was ordered jailed. 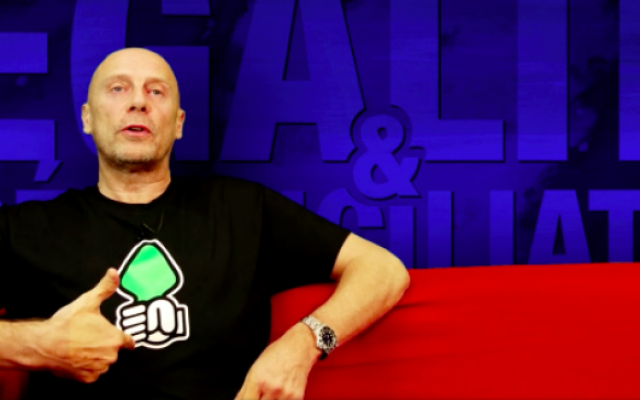 A Paris court on Monday convicted Alain Soral, 60, for publishing on his internet site the conclusions of the lawyer, Damien Viguier, in an earlier case. Viguier was fined 5,000 euros ($5,650) for his conclusions, which were deemed to have negated the Holocaust. Viguier said on Soral’s site that they were appealing the conviction. Soral’s lawyer in the complex case was fined. The International League Against Racism and Anti-Semitism praised the ruling, saying the decision to impose a prison sentence on Soral, who has been convicted in the past, shows the “exceptional character” of the decision. Sorel was last sentenced to jail in January, for insulting a magistrate and making anti-Semitic comments. He was fined 4,000 euros ($4,500) in December 2018, by the Paris Court of Appeals for producing and selling a poster on his website that targets Jews. “We will continue to prosecute Mr. Soral as long as he makes anti-Jewish remarks,” said attorney Ilana Soskin, representing the International League Against Racism and Anti-Semitism, which brought the January complaint against Soral.